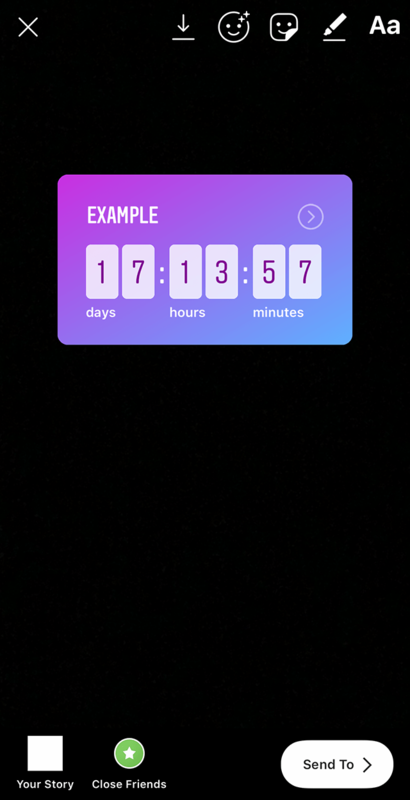 Instagram recently added a countdown stickers to Stories, allowing users to add an interactive countdown to their posts. For instance, users may wish to create a countdown for a special occasion, like their birthday or a holiday. 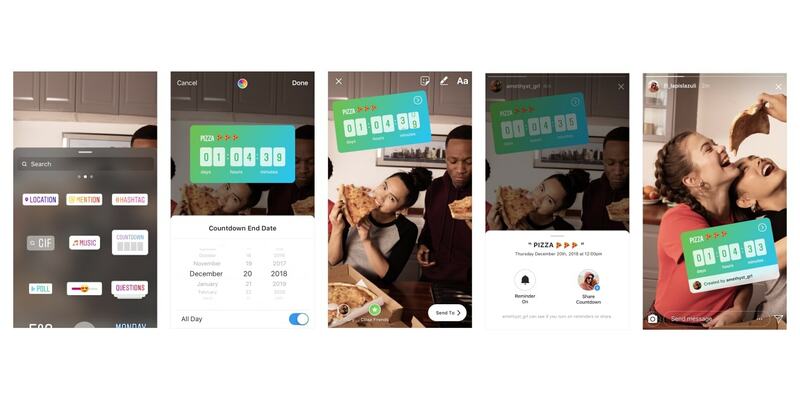 Our guide will show you how to use the Countdown sticker in Instagram Stories. Step 1: Once you’ve taken a new photo or video in Stories, or imported an existing photo or video from your device, tap the Stickers button at the top of the screen. Step 3: Type the name for your countdown. Step 4: Tap the digits. 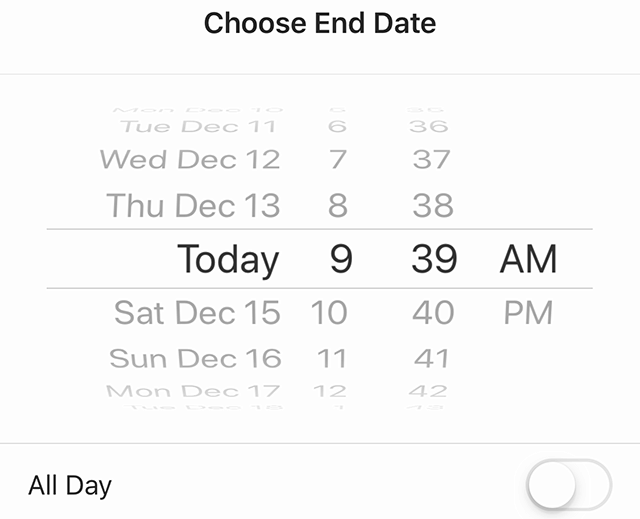 Step 5: Scroll through the wheels to set the end date for your countdown. 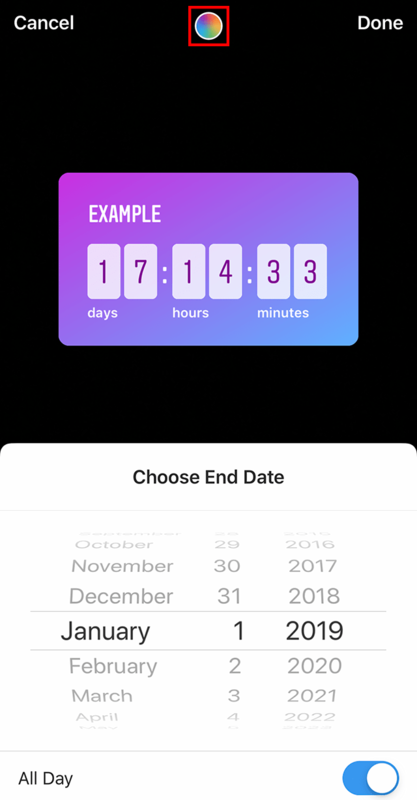 Note: If you want the countdown to have a specific end time (like noon), tap the blue toggle to the right of “All Day.” This will allow you to set both an end date and time for your countdown (for instance, noon on Jan. 1, 2019). You can see how this looks in the second image below. Step 6 (optional): Tap the colorful circle at the top of the screen to change the sticker to a different color. You can tap the circle multiple times to view different color options. 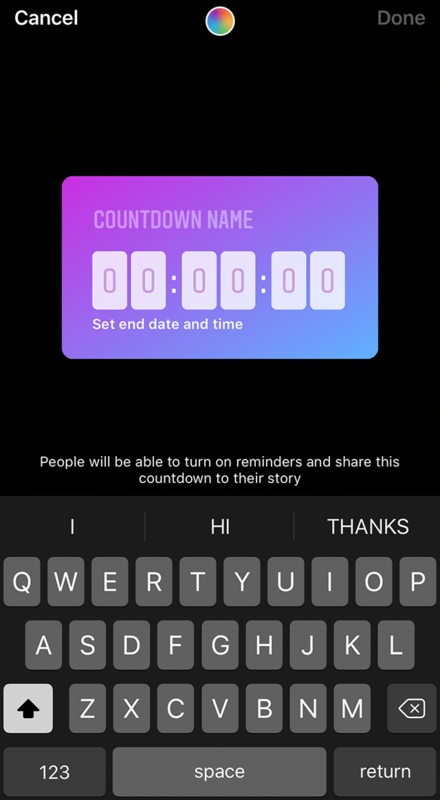 Step 7: Tap “Done” in the top-right corner of the screen when you’re done creating your countdown. 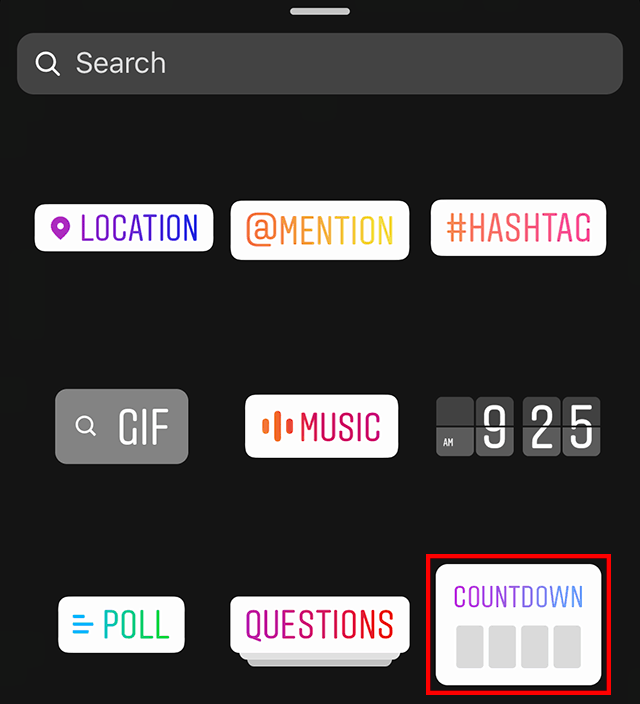 From here, you can resize, rotate and move the countdown sticker around the screen to best fit your post before sharing it.